The new Audi Q4 e-tron has a range of 450 km, can go from zero to 100 kmph in just 6.3 seconds, before reaching an electronically limited maximum speed of 180 kmph. 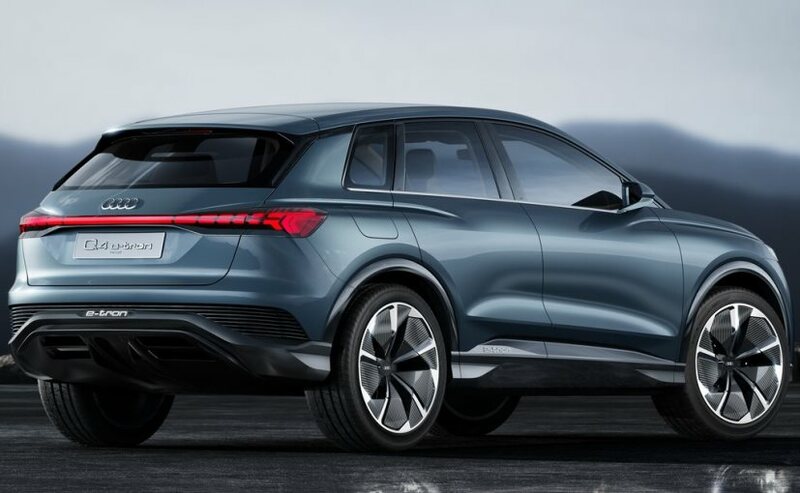 Audi has showcased the Q4 e-tron concept at the ongoing Geneva International Motor Show 2019. 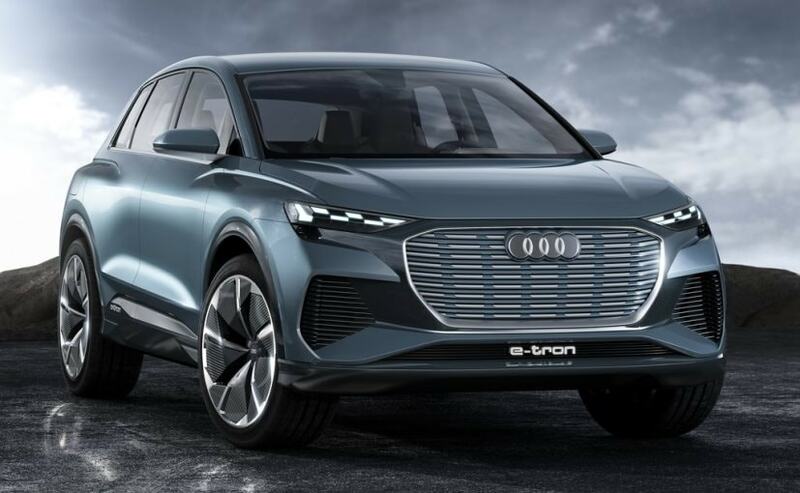 The Audi Q4 e-tron concept is a compact four-door SUV which comes with two electric motors that produce a maximum output of 225 kW (302 bhp) and comes with the company's quattro all-wheel-drive system. The motor is powered by an 82 kW battery that takes up almost the entire space in the underbody area between the axles. The concept SUV has a range of 450 km, can go from zero to 100 kmph in just 6.3 seconds, before reaching an electronically limited maximum speed of 180 kmph. The Audi Q4 e-tron shares a lot of its cues with the original and first Audi e-tron but in a smaller package. The concept electric SUV measures 4590 mm in length, 1900 mm in width, 1610 mm in height, and comes with a wheelbase of 2770 mm. Visually, the car comes with a very futuristic appearance, with elements like the Singleframe with the brand logo, the four rings, featuring a structured closed surface within a broad, almost upright octagonal frame in place of a traditional radiator grille. Up front, we also have large air inlets that extend from below the two matrix LED headlights all the way down to the front apron. The Audi Q4 e-Tron comes with a set of large 22-inch wheels. That said, despite its compact dimensions, the Q4 e-tron comes with quite a spacious cabin, offering good legroom for both front and rear passengers, one reason for this is because there is no transmission tunnel restricting the space. The spaciousness is further accentuated by the light, warm colours of the cabin. The cabin also comes with the virtual cockpit with the display showing information about speed, charge level and navigation along with a large-format head-up display with an augmented reality function is a new feature. In the middle above the centre console, there is a 12.3-inch touchscreen via which the infotainment and vehicle functions are displayed and operated. The new Audi Q4 e-Tron is built on the company's modular electrification platform (MEB) that will be integrated into numerous electric vehicles produced by the Volkswagen Group in the future, from the compact class to the superior medium-size class. 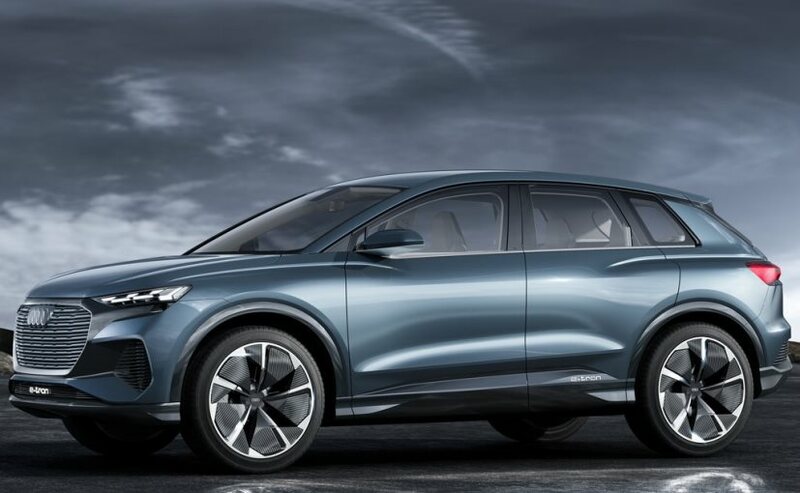 The new Q4 e-tron concept car previews the fifth series production electric vehicle, after the already on sales Audi e-Tron, and the upcoming e-tron Sportback, Q2L e-tron (only for China), and the four-door high-performance coupé Audi e-tron GT, which is being developed at Audi Sport GmbH. In fact, by 2025, Audi will offer twelve automobiles with all-electric drive in the most important markets worldwide and achieve roughly one-third of its sales with electrified models.